Want to improve at chess? Then you'll need to improve your understanding of chess strategy. You probably knew that already - but how to begin to study such a vast and seemingly complex subject? International Master Adam Hunt is a full-time chess teacher and is thus very familiar with this problem. His solution is to present an accessible and easy-to-read guide for club players and juniors. 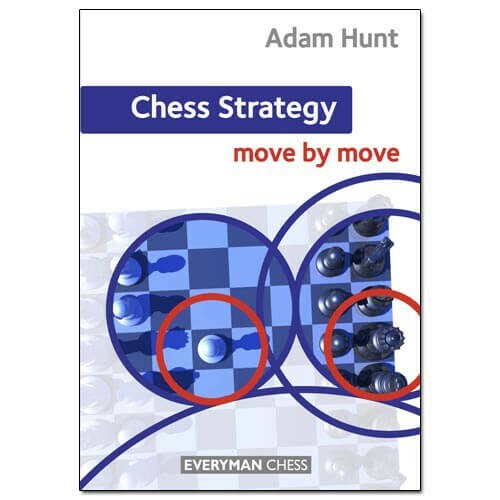 Hunt studies all the key components of chess strategy, including development, king safety, attack and defence, initiative, pawn play and much more. He examines not only grandmaster games but also those played by students, demonstrates model strategic play, identifies typical mistakes and explains how to avoid them. Move by Move provides an ideal platform to study chess. By continually challenging the reader to answer probing questions throughout the book, the Move by Move format greatly encourages the learning and practising of vital skills just as much as the traditional assimilation of knowledge. Carefully selected questions and answers are designed to keep you actively involved and allow you to monitor your progress as you learn. This is an excellent way to improve your chess skills and knowledge.